Unfortunately, there's no denying the fact that once I find him a perfect match, our dynamic will change. I'll be back to square one. I've read every single one of RC Boldt's books, and it was in April of last year that I named Ditched my favorite RC Boldt read and it was one of my top favorites for 2018. Nearly a year later, it pains me to admit that Ditched has been replaced by none other than its companion novel, With a Hitch. This is Darcy Cole and Dax Kendrick's story, both of whom were supporting characters in Ditched as the foster sister slash best friend of Ivy Hayes and the teammate slash best friend of Becket Jones, respectively. If you've never read that book, I highly recommend you check it out for the simple reason that it's one of RC Boldt's best AND it's a personal all-time favorite of mine. You do NOT necessarily have to read it to fully enjoy With a Hitch but Ivy and Becket and other recurring characters do play a part in Darcy and Dax's evolving relationship, so no worries whether you decide to read it or not. But read it! Darcy Cole would do anything for her sister, but she may have been tempted to refuse when the favor involved finding the perfect match for her brother-in-law's best friend. 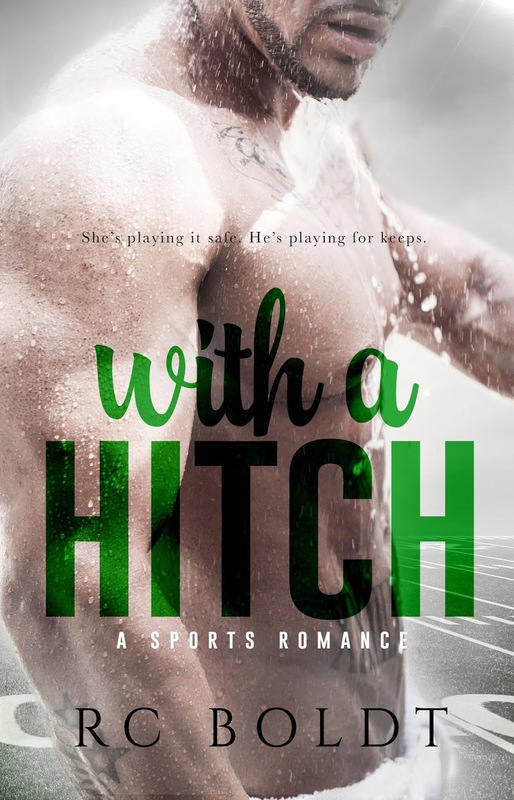 After all, matchmaking is Darcy's business and Hitched is a business that's flourishing, but how do you find the ideal woman for a man like Jacksonville Jaguars wide receiver and all-around good guy Dax Kendrick? Dax is a unicorn--the sort of man that doesn't seem to have any unforgivable flaws and surprises Darcy each time she discovers something new about him. In the process of Darcy getting to know Dax, he learns more about the woman he met on the day of his best friend's wedding two years ago. Darcy is nothing like the women he's ever dated, but she's as fascinating as she is beautiful. They soon become the closest of friends, and her friendship means the world to Dax. He can't risk losing it even as he's losing his heart to his matchmaker finding him the future Mrs. Kendrick. Darcy couldn't possibly feel the same way. Right? Purchase With a Hitch on Amazon | Apple Books | B&N | Kobo.